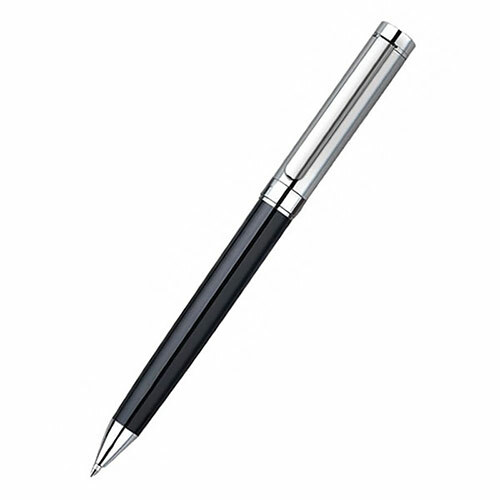 Priced to sell, these attractive ballpoint pens are ideal branded as corporate pens. They feature polished chrome plated detail at both ends and on the centre band, with a chrome plated upper body and black lower body. These pens are supplied with a presentation case and can be customised by laser engraving onto either the pen body or the case.